Umm, I’m pretty sure you have it exactly backwards. They use 2005 fares because they’re using the 2005 _model_. Everything in the model (incomes, disposable incomes, price sensitivity, etc.) is calibrated to _2005 dollars_. 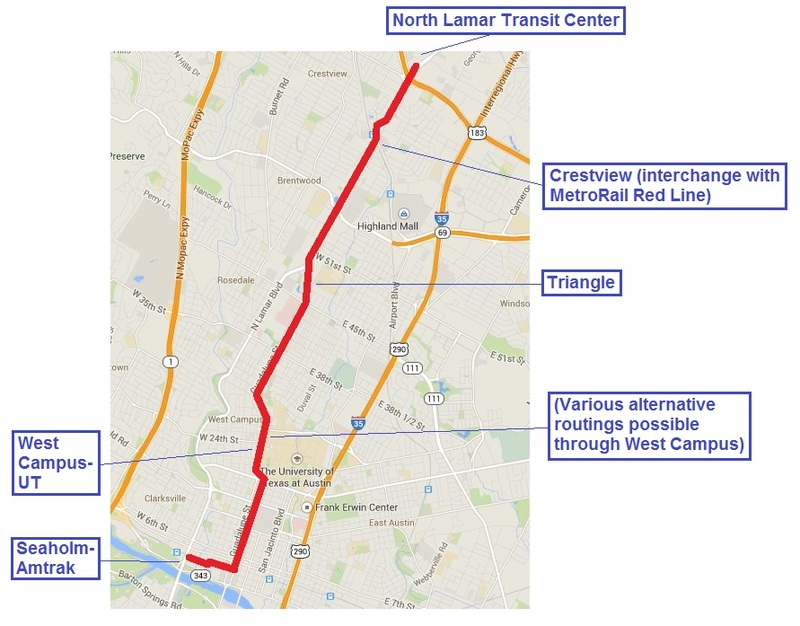 No such income-related parameters are mentioned in the Technical Memorandum released by Project Connect (per Alliance Transportation Group) and reviewed in Susan Pantell’s analysis. 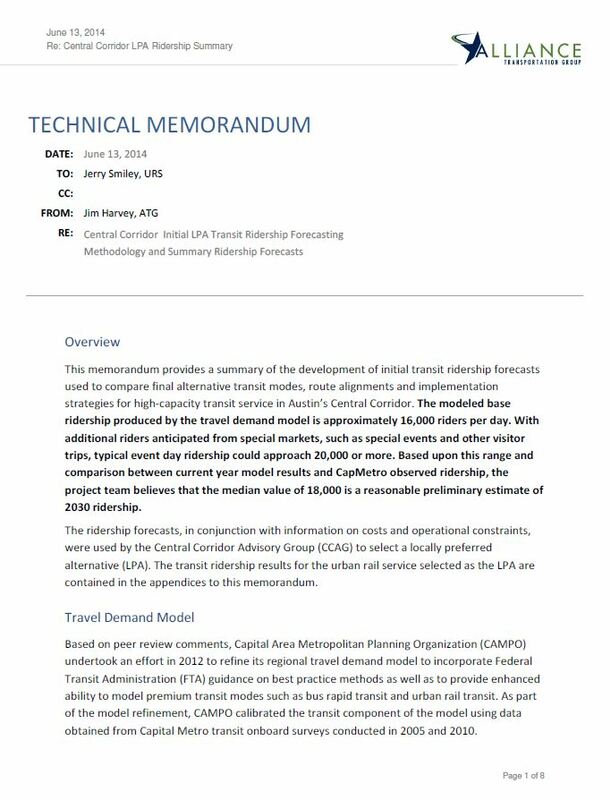 There remain legitimate questions as to not only why 2005 fare levels were used to produce ridership estimates for 2030, but also why a 9-year-old forecasting model was used for travel demand forecasting and public transit ridership forecasting in 2014. I thought that was pretty clear in the memo, they use a 9 year old model because that’s the most recent model (based on the most recent data, circa 2005 and 2010). Even if the model was up to date today, why would you plug a fare in 2030 dollars into a current-year model (which would be expecting 2014-dollars)? We can be pretty sure that modeling technology has advanced in 9 years, so the question remains why this model has not been updated. One would expect that a model that uses estimates of population, employment, economic activity, tax revenues, etc. 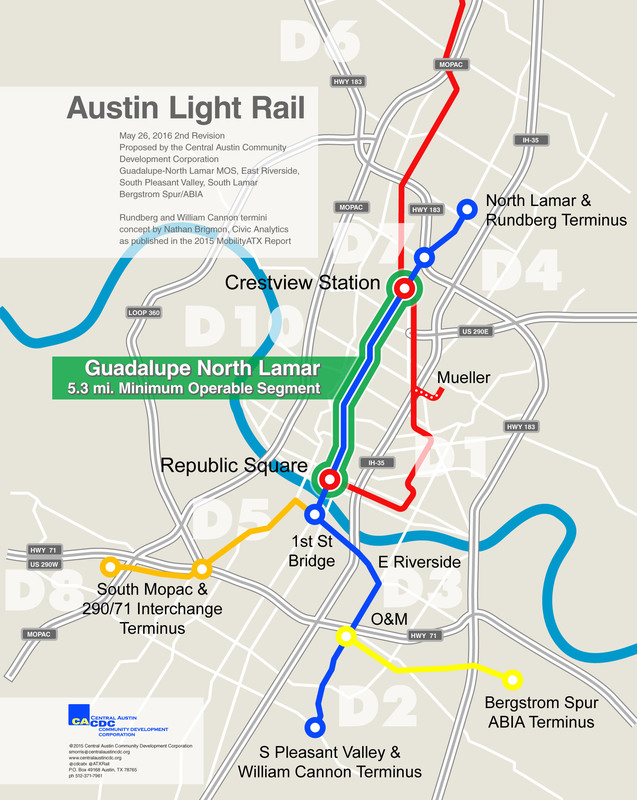 projected to 2030, would also use fare level estimates projected (i.e., inflation-adjusted) to 2030. And how do you know that the CAMPO/Project Connect model “expects” 2014 dollar values? They _are_ updating it. And it says that in the memo. It’s just not ready yet. No, you wouldn’t. The memo outlines exactly what they changed. They used the 2005 model and the _only_ thing they updated was the demographics (population and employment ). 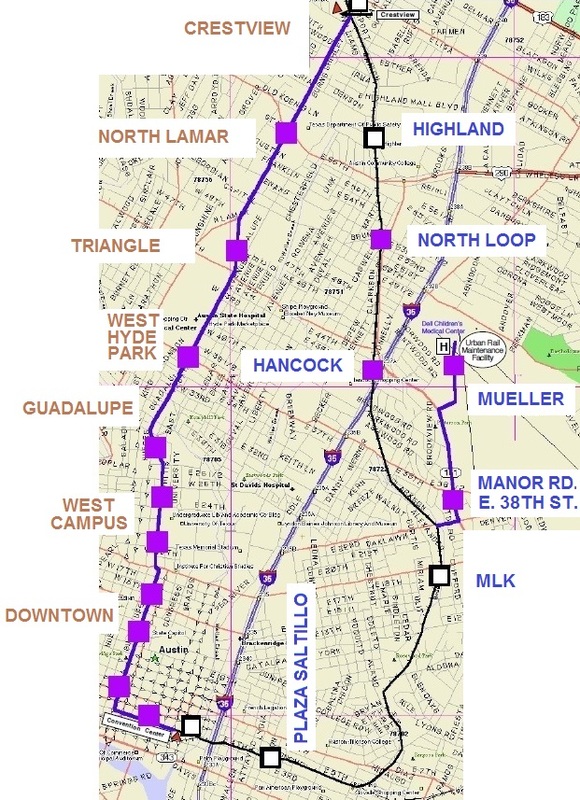 model was selected for use in analyzing high capacity transit alternatives in the central corridor. forecast demographics for a 2030 study horizon year. That’s the _only_ thing they changed. No changes to “economic activity, tax revenues”. Other than that change, it’s the 2005 model. Which means it would be calibrated to 2005 fares. Plugging in 2030 dollars is erroneous. Novacek, you seem to be making inferences and claims based on a misreading and misinterpretation of the Technical Memorandum, and not based on factual evidence. Alternatively, you may be privy to information about these issues in a way that you haven’t revealed. If the latter is the case, this is information that should be disclosed to the general public. Project Connect and CAMPO seem to have gone to great pains to avoid doing exactly that. What misreading and misinterpretation? They _explicitly_ state that they used the CAMPO models (which they _explicitly_ state are calibrated to 2005 and 2010 data) with changed population and employment numbers. Nothing in the memo says anything about forward-inflating consumer sentiment to 2030 levels. Nope, I’m just reading the memo. Oh, and I’m on CAMPOs emailing list, so I know they’re preparing the CAMPO 2040 estimates. Maybe that’s the misunderstanding on your part. They really only do major updates every 5-10 years.That would be why there’s no more recently updated model. Novacek, you may be “just reading the memo” but you’re misreading and misinterpreting the information in it, making claims apparently drawing on your own suppositions and inferences. This is curiously similar to the modus operandi of Project Connect and its surrogates, who create smoke and confusion under the pretext of “scientific” or “professional” inquiries, then reach unsubstantiated conclusions on behalf of a preset agenda. That’s just it, there is no interpretation or inference. They told you what the model was, and what data they plugged into it, and what they plugged in makes sense because _that’s how math works_. It’s you who are somehow inferring that when they tell you the model is calibrated to 2005, that actually means it’s calibrated to something else. Your claim basically requires that they’re “trying to put one over on you” and then they _immediately tell you about it_. If they were trying to inflate the numbers, why not omit just that one sentence? Or why use 2005 ticket prices, why not 2000? Or free fares? Who is inventing fictitious content? It’s you all who decided, on no basis, that the model must be calibrated to 2030 (even though that directly contradicts what they _explicitly_ said in the memo). Readers are encouraged to review these exchanges of comments and the Technical Memorandum (previously linked), and decide for themselves whether there is any substance or merit to Novacek’s contentions.